The UK's biennial helicopter showcase was held in September at what has become its new home, the historic Duxford Airfield. Pacific Wings' UK Correspondent, Peter Cooper, reports on the event. If you've flight-planned from Rangitata Island and have white sands, palm trees and hula girls in mind, you will be disappointed. But as John Nicolson reports, be prepared instead to enjoy the hospitality of hosts Russell and Lynda Brodie and family, in idyllic surroundings that provide for recreational pilots and aviation buffs alike. An innate sense of style just seems to be an Italian thing, with style and artistic design brilliance having been recognised as national traits throughout history - and Stelio Frati's Falco F8L is no exception. It has been almost 50 years since the maiden flight of the ""Ferrari of the sky"" and Rob Neil takes a look at this very Italian aircraft. 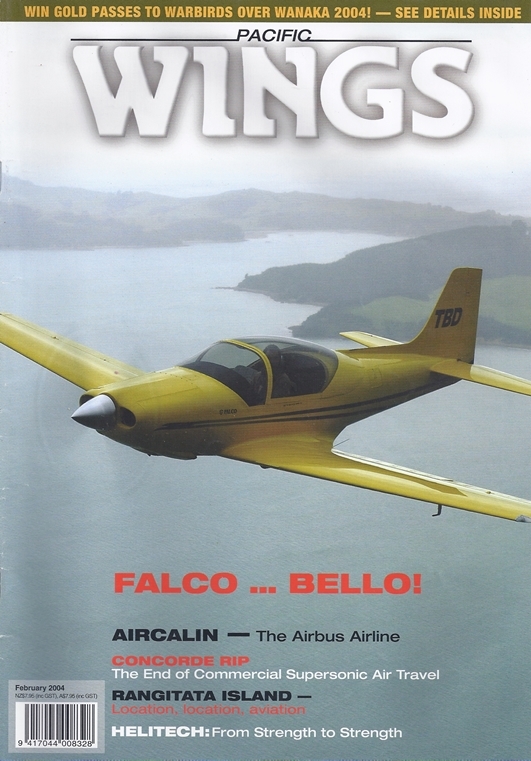 Pacific Wings correspondent Peter Clark joins Aircalin's new Airbus A330's from Auckland to Noumea and profiles the history of this growing, young South Pacific carrier. Peter Cooper laments the end of commercial supersonic air travel.